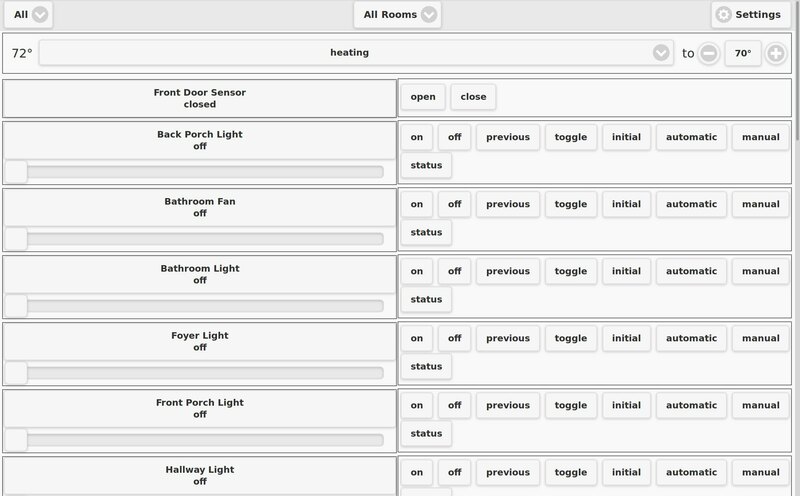 The Pytomation web interface allows for two way communication, so when your devices change it's state (on/off, for example) the web interface is updated with the correct value. On Chrome Desktop, with a touch screen, you can swipe down to say a Voice Command. To utilize the “Voice Commands”, slide the device list down until it tells you to “Release for Voice Command”, and then release.